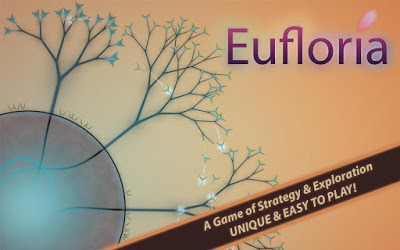 Eufloria HD should definitely be one the best games for Android in 2012. It is an incredibly addictive and stylish ambient strategy game. And like most other extremely popular games in Google Play Store, Eufloria HD is criminally simple with almost zero learning curve involved. Eufloria is a real-time strategy game developed by indie developers Alex May, Rudolf Kremers and Brian Grainger. The original game, Eufloria classic, was released for Windows in 2009 and for PlayStation Network in 2011. Eufloria HD is the actively maintained build, and was first released on iOS. Linux and Android versions of this game was released along with Humble Indie Bundle for Android 4. And just few days ago, Eufloria HD was finally made available in Google Play Store for a price tag of US$ 4.99. Free demo version also available.